This is a Square. It is dated 17th century. 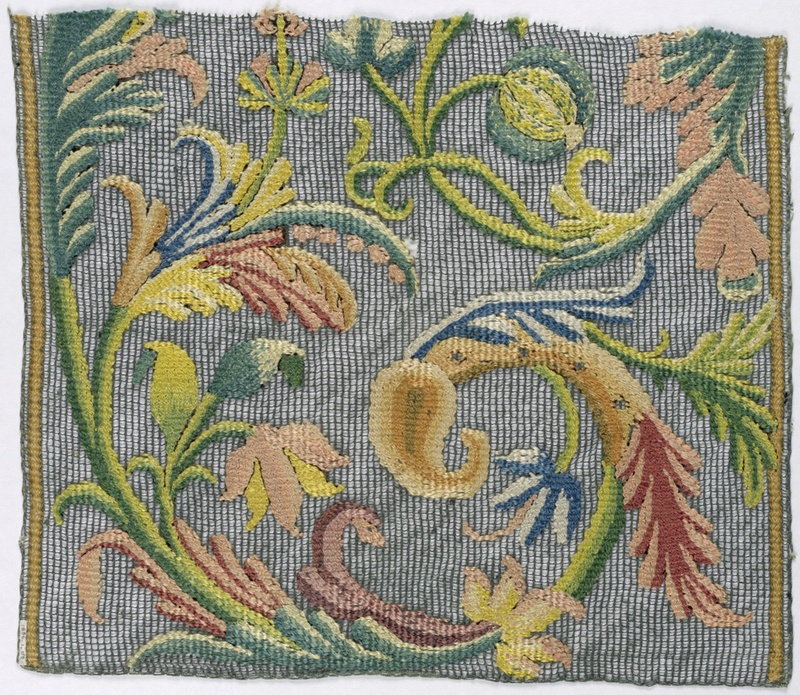 Its medium is silk, linen net foundation and its technique is needlework on hand knotted net. It is a part of the Textiles department.